Deadline Extended on 3rd Annual Clothesline Show! Open for Viewing Sat-Sun 8/6-7! ≈ Comments Off on Deadline Extended on 3rd Annual Clothesline Show! Open for Viewing Sat-Sun 8/6-7! 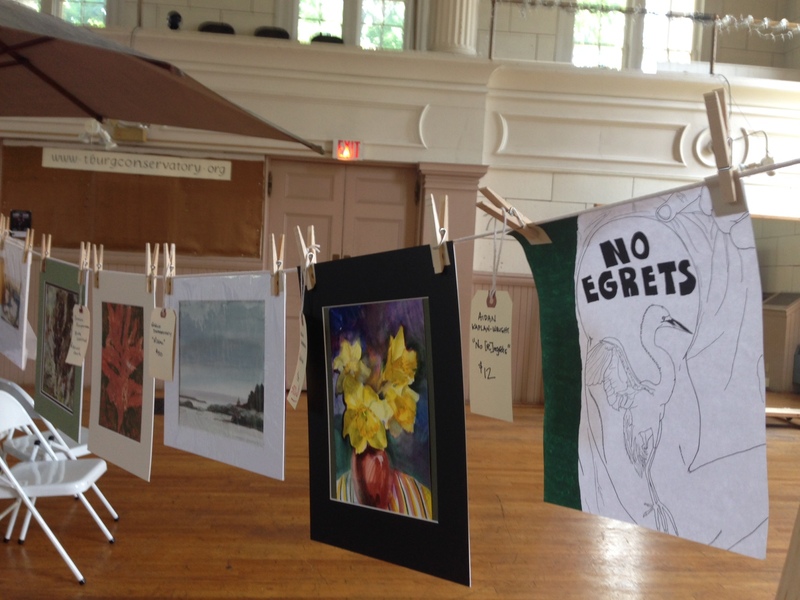 Announcing the 3rd Annual Clothesline Art Show! Once more, this popular event will be a show of artwork presented in informal fashion in the auditorium at TCFA. It will be open to the public on Saturday and Sunday, August 6 and 7, 10-5pm. By special arrangement, a selection of pieces by the late Yvonne Piburn of Trumansburg will also be on view and available for sale. Artist participation in the show is open to anyone who cares to enter work. It doesn’t matter whether you are five or 95, whether you live hereabouts year-round or just come seasonally, whether you’re a famous artist or someone who makes work just for yourself. We will be excited to see all kinds of work. We’re a little limited in terms of size and weight. Because of our plans about showing the work, we really prefer to have unframed pieces that are two-dimensional (that’s basically flat!) and not really over-sized. If you have something sculptural, we will be hesitant but you can get in touch to discuss it. We’re also not looking for crafted items, such as jewelry or pottery or knitted clothing or hats, and the like. We’re thinking paintings and drawings, prints and photographs, and so on. Again, if you have something that falls between (or outside of!) the lines, please get in touch. The entry fee is $10, which entitles you to contribute TWO pieces. All contributors are limited to two pieces and all work must be for sale (you set the price and you keep the proceeds). SIGN-UP DEADLINE, originally July 30, is now extended! Artworks must be brought to the Trumansburg Conservatory between 12 noon and 7pm on Thursday, August 4, or from 9am to noon on Friday, August 5. Artists must pick up any work that is not sold after the show on Sunday, August 7—until 7pm, or on Monday, August 8 between 11am and 6pm. Any work not picked up will become the property of TCFA. We will consider keeping a waiting list for people who want to contribute more than two pieces (and we’d charge a bit more if those are accepted). Guidelines and an entry form are here. For more info, call 607-387-5939 or e-mail skl.tcfa@gmail.com. See some local coverage in the Ithaca Times.